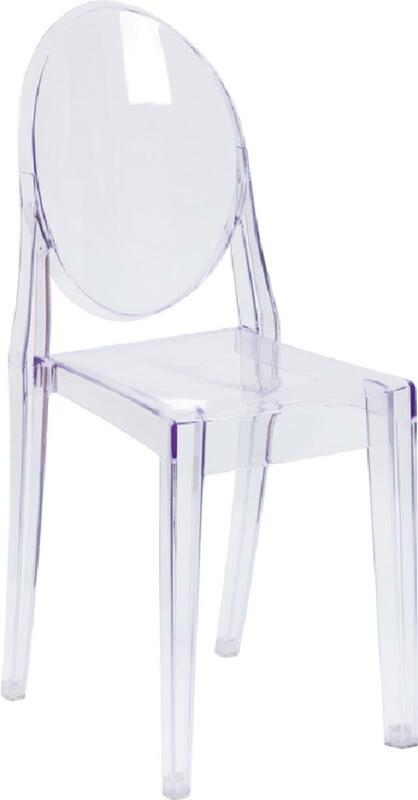 The transparent ghost chair brings modern design, elegance and function to your home, restaurant and special events. This modern chair with its Louis XVI styling and near invisibility highlights your artwork and other furniture, lightens a crowded space and can make a small room appear larger. 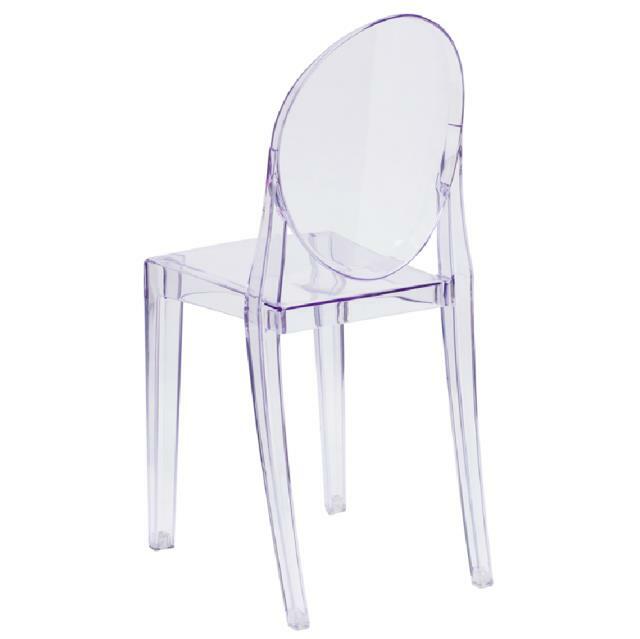 A contoured seat makes this chair comfortable and its polycarbonate molded structure makes it shock, scratch and water resistant. 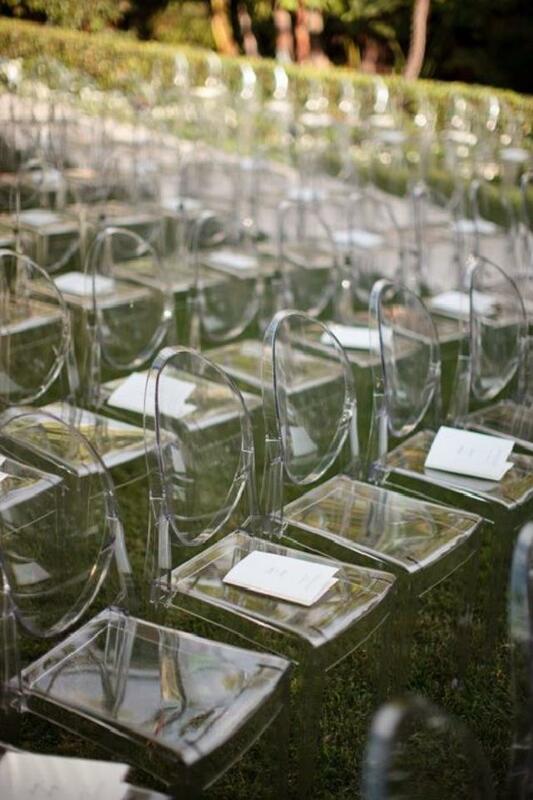 Protective floor glides protect your floor by sliding smoothly when you need to move these beautiful chairs. Designed for indoor and commercial use, the understated ghost chair is a classic accent chair that highlights almost any decor without blocking the view.